The dark yellow background with dark blue shades truly delineates the Halloween mood. 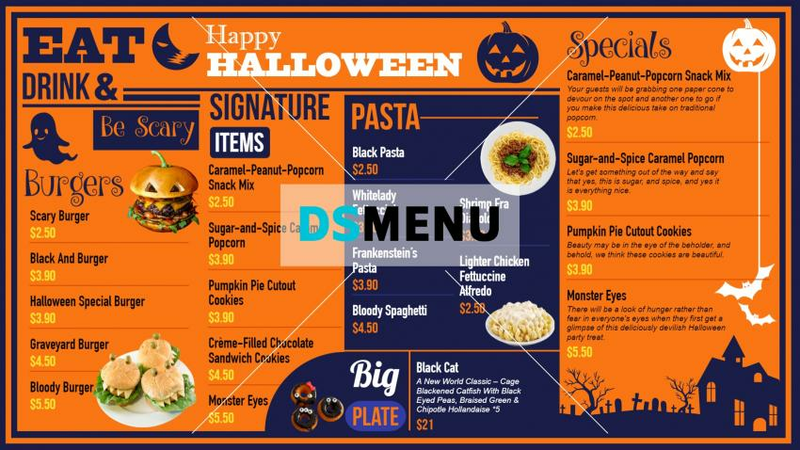 On a digital menu board this template will be the talk of the town. And will surely bring in more customers. The menu is delicious as well with burgers, signature items and specials.